I read that among animals – dogs – yawning is a social calming signal meaning: “hey, calm down”. I tested it with a cat and a dog, both will yawn when I fastly move towards them. If a dog yawns in return to his fellow yawning, it means “I accept your request and I calm down”. Maybe humans do the same at times? This calming signals thing as concerns dogs seemed to me not totally scientifically proven… but in practice I tested it and it worked. Thank you so much for summing up the research there. I have been wondering abuot this for ages, as well as the hiccups! Love your blog! I once read there was a link between those in the human population who empathise and yawning. Never believed it to be true, although imagine if it was! Great read. While reading this I ended up yawning 3 times. Though I yawned before I started reading also, probably because I am tired right now. It is a mystery. Even the photo made me yawn! I’ve yawned twice while reading this… oops make that three times. Seriously. It’s totally contagious. Love this post! Thank you for liking my blog posts! This post made me yawn…NOT because it’s boring, but the pics just made me yawn. Great blog, the facts are as i had always believed. There is another one that`s contagious and that is an itch. sit next to a group and scratch,before long most of them will be doing the same as they think they also have an itch. Yawning is so contagious, and it only takes one person to start it off. Great article! I thought the person yawning was bored…just saying. I can’t think of a better post to read first thing on a Monday morning! I could hazard a guess as to why we yawn. Physiology of the human body fascinates me as did your post. I’ve heard many different reasons as well as to why we yawn, but the need for oxygen in the blood seems the most succinct. When we rest, our metabolism slows. Our breathing slows and when we suddenly decide to move, our muscles have more need of oxygen than they did in the restive state. It’s a oxygen deficit response in the body. If we are restive and reading, our brain needs the oxygen and it’s why I can’t stop yawning when I’m studying in or sitting in class learning. However, it’s only a semi-unconscious response to the oxygen depletion and as you said, thinking it can trigger it. So, when one person yawns and another witnesses it, the first yawn makes the others think of the yawn which triggers their response as well. To fall asleep, we have only but relax. Once our metabolism and brain function reach as certain lasitude, we fall asleep. Because of this, the amount of oxygen we take in is low. However, as we near sleep, our subconscious becomes more active, requiring additional oxygen as it sub-stimulates the mind causing us to yawn. The only flaw in my observation that I can see, is that why we sleep, we never yawn, but this could possibly mean that it is a higher brain function which is available only when we are awake and is unavailable when we are asleep. Interesting article my friend. I enjoyed it immensely. An interesting article and the photos are funny too. 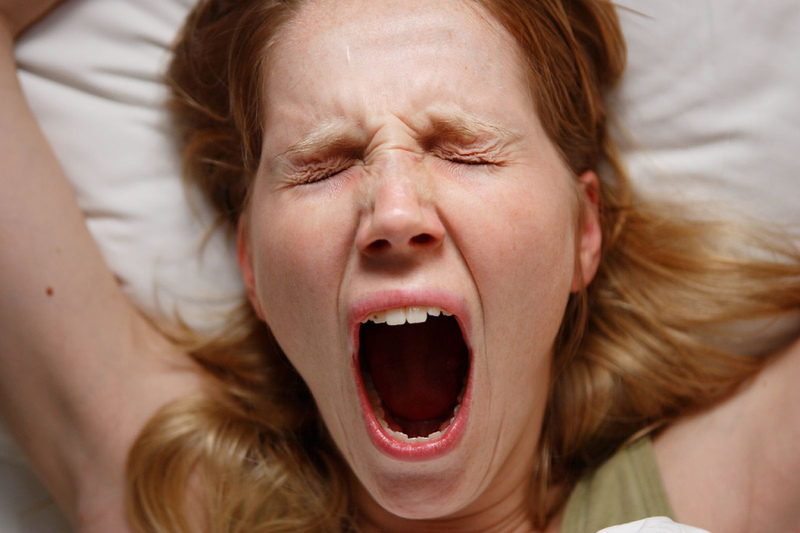 All I know is this…, I always ‘feel good’ when I yawn, it’s a very relaxing behavioural response. If I see someone yawning, I tend to take on some of their energy too. For example, if they are yawning because they feel tired, funnily enough I start feeling tired.. Or if they yawn in a way that conveys they are relaxed, then I tend to feel relaxed in their company too. It’s very catchy! I learned this years ago in my Physiology class. Wow! Thanks for reminding me! Great post! LOL I instantly yawned when I read the headline. Thanks for the fun information! LMAO.. IYou learn something new everyday, Thanks to reaching Utopia for liking most post, The Social Shall inherit the Earth.